Ireland’s re-entry visa system will be abolished with effect from next month, the Government announced today. Under the system, visa-required nationals who live in Ireland and who wish to travel to and from the country have been obliged to apply for a re-entry visa in advance of travel. From 13 May 2019, such individuals will be exempt from the requirement to hold a visa if they have registered for an Irish Residence Permit (IRP) or GNIB card. 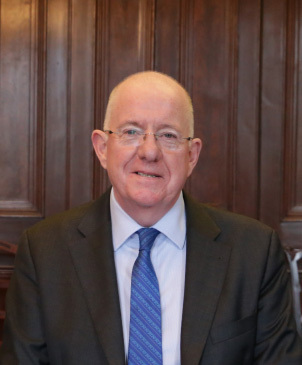 Justice Minister Charlie Flanagan said: “I am delighted to announce the abolition of the re-entry visa system. Visa-required nationals will now be able to use their Irish residence permit or GNIB card to prove to airlines and immigration officials that they have a right to travel to Ireland. The IRP card is in the standard EU format for residence permits, and is recognised by airlines. The Department of Justice and Equality said improvements in security in the IRP has made it possible to eliminate the need for re-entry visas, without compromising the safety and security of the visa or immigration system. The abolition will not take effect until 13 May 2019 due to the need to notify airlines, ferry companies and immigration authorities in other countries. Until this date, the existing system will remain in place and visa required nationals will continue to need a valid visa or re-entry visa to travel to Ireland.